All Aquaguard Pool Fences are backed by a LIFETIME WARRANTY that provides protection against manufacturer defects on material and workmanship. We guarantee that you will get the best pool fence to protect your love d ones. As outlined in our pool fence description, our mesh, hardware, border material and poles are of the highest quality material. The strength and durability of our fence posts is unmatched by our competitors and utilizes the latest technology and design. This is how we can confidently back our fencing with such a warranty. This warranty covers mesh fabric, poles, anchors and fasteners, but does not cover incidental or consequential damages or metal finishes. 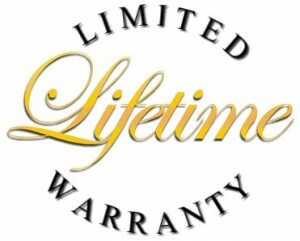 All warranties are to the original purchaser at the original installation location and cover defects in materials and workmanship under normal wear and tear circumstances. This warranty does not cover deliberate acts, misuse, or acts of nature. Customer has the sole responsibility for periodically inspecting the pool fence and gate and reporting defects or failures. Manufacturer does not want to create a false sense of security. The Aquaguard Pool Fence is not intended to be a substitute for proper adult supervision nor is it a guarantee against access to the pool.